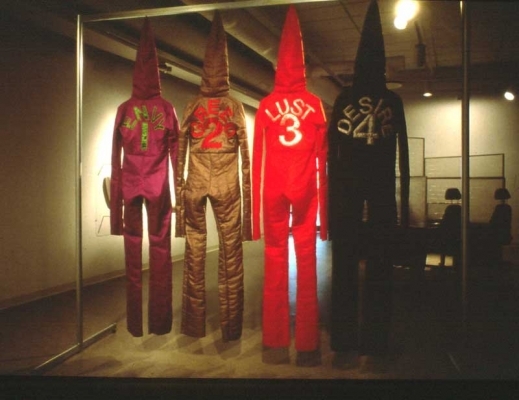 Team Spirit, made for Andy’s third one person exhibition in Vantaa, Finland, draws on imagery from the Catholic penetants of Spain, the Klu Klux Klan, and alien beings – the bodies that fit in these clothes are unhuman! 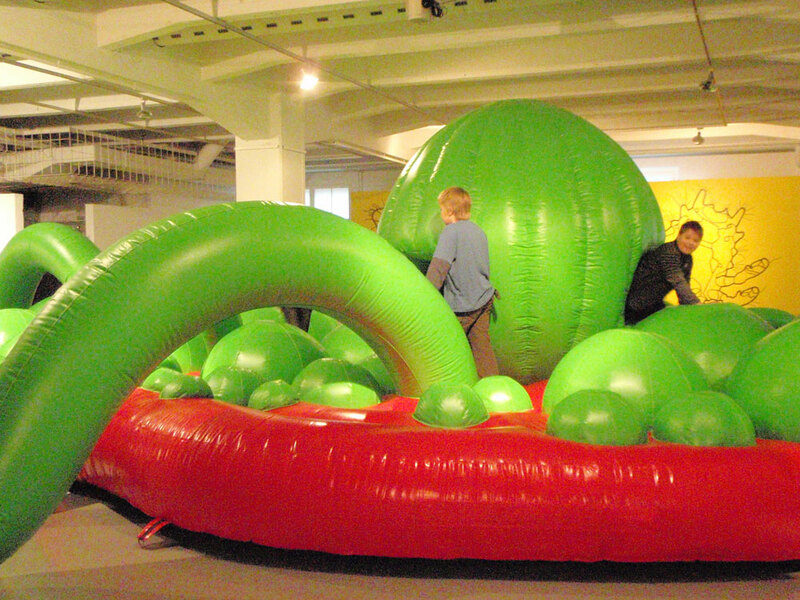 The team’s names, Envy, Greed, Lust and Desire, sum up our contemporary social community spirit! This piece is in a private collection in the USA.